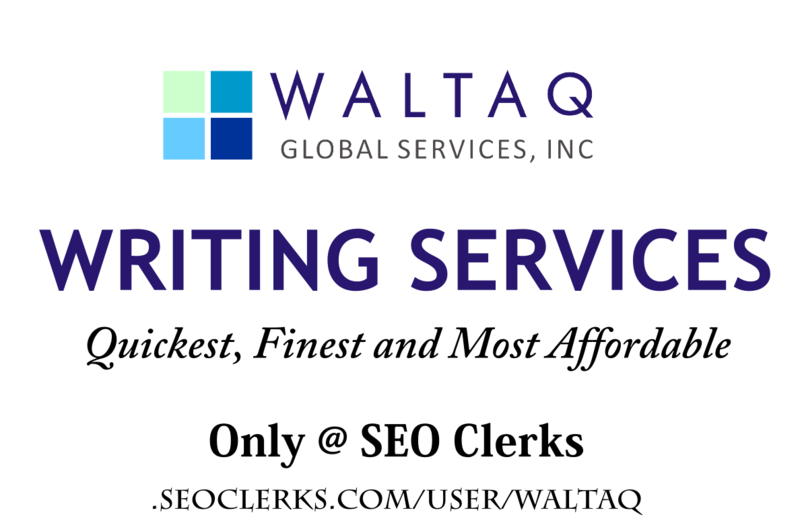 WALTAQ will provide you with the finest, quickest and most affordable writing services around. We are a team of experienced writers, designers, virtual assists and many more. Our proactive team members are available 24/7 to provide you with the best customer service around apart from being very timely and affordable !! But, give us a shot, We assure that we will totally meet your expectations ! !